At Lenovo, innovation isn’t just what they do, it’s part of their DNA. It doesn’t just make them who they are. It flows through everything they do—from the smartphone in your pocket and light bulbs in your smart home to the servers in your data center and beyond. Story began more than three decades ago with a team of eleven engineers in China. Today, Lenovo is a diverse group of forward thinkers and innovators in more than 160 countries, constantly reimagining technology to make the world more interesting and to solve tough global challenges. 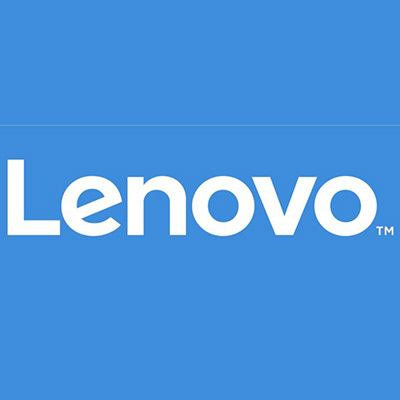 Lenovo dedicated to transforming customers’ experience with technology—and how it, and they, interact with the world around it. They call this Intelligent Transformation. They are setting the stage for what’s possible with technology shaped by Augmented Intelligence, capable of enhancing and elevating human capability. Minimum quantity for "Lenovo X1 Carbon/ i7/ 8th Gen/ 16 GB/ 512 GB/ 14 IPS Laptop - Black"" is 1. Minimum quantity for "Lenovo X1 Carbon Intel Core i5 8th 8250U Gen 8GB RAM 256GB SSD Intel HD Graphics 14 Inch IPS Laptop" is 1. Minimum quantity for "Lenovo ThinkPad T480 14" Laptop - 8th Gen Intel Quad-Core i5-8250U Processor up to 3.40 GHz, 8GB Memory, 500GB HDD, Intel UHD Graphics 620, Windows 10" is 1. Minimum quantity for "Lenovo ThinkPad X280/ i7/ 8th Gen/ 8 GB/ 256 GB/ 12.5 Full HD TouchScreen Laptop - Black" is 1. Minimum quantity for "Lenovo Ideapad 320 Core i5 15.6" 8th Gen 4GB RAM 1TB HDD 15.6" Laptop Grey Win 10" is 1. Minimum quantity for "Lenovo Ideapad 330 Laptop[14 HD 8th Gen i5 4GB 1TB Intel HD]" is 1. Minimum quantity for "Lenovo V310 Core i3 7th Gen 1TB HDD 4GB RAM 2GB AMD Readon 15.6" HD Laptop Win 10" is 1. Minimum quantity for "Lenovo IdeaPad 110 Core i3 6th Gen 4GB RAM 1TB HDD Intel HD 15.6" Laptop Free DOS" is 1. Minimum quantity for "Lenovo 520 Core i5 8th Gen 1TB HDD 4GB RAM 2GB MX150 15.6" Laptop Win 10" is 1. Minimum quantity for "Lenovo V110 Celeron 6th Gen 500GB 4GB RAM Intel HD 14" Laptop Win 10" is 1. Minimum quantity for "Lenovo Ideapad 520 Intel Core I7 8th Gen 15.6" FHD Laptop (8GB RAM/ 1TB HDD/ Windows 10 Home/ 4GB Nvidia MX 150)" is 1. Minimum quantity for "Lenovo Flex 5 14" Touch 360 2-in-1 Intel 8th Gen I5 8250 8gb RAM 256gb SSD" is 1. Minimum quantity for "Lenovo Ideapad 330/ i5/ 8th Gen/ 4 GB/ 1 TB/ 14 HD Laptop" is 1. Minimum quantity for "Lenovo 520 Core i5 8th Gen 1TB HDD 8GB RAM NVIDIA 4GB Backlit 15.6" FHD IPS Laptop Win 10" is 1. Minimum quantity for "Lenovo 320 IdeaPad Celeron 6th Gen 6006U 500GB SSD 2GB RAM 14" Intel HD Laptop WIndows 10 Pro" is 1. Minimum quantity for "Lenovo Legion y7000 / i7 -8TH GEN / 16GB / 1TB HDD + 256GB SSD / 6GB gtx 1060 GRAPHICS / 15.6" FHD / WIN 10 Laptop" is 1.